Speaking, Sponsorship & Exhibiting opportunities sell out fast at TradeTech FX. Contact us today and we’ll be in touch shortly! What Is Sponsorship at TradeTech FX? Face time. 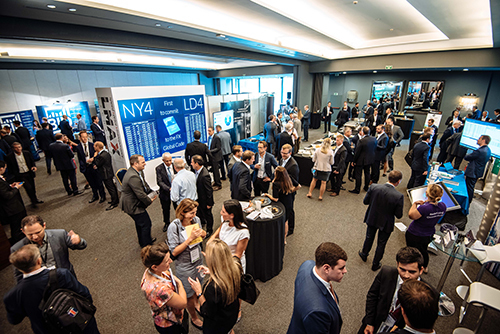 Meet 250 buy side heads of FX from leading institutions at your booth, at sessions, roundtables, in workshops and more. "The perfect platform to stay ahead of the curve for key developments, and exchange meaningful ideas on the entire investment cycle." Please get in contact with me to organise a business development opportunity with our attendees. We can develop bespoke options including - Panels, Roundtables, One-on-Ones, Cocktail Receptions, Exhibition Booths, Branding, Speaker Spotlights and Presentations. "Remains one of the best FX conferences in the world- leads to increased innovation and transparency ultimately benefiting investors around the globe." The only event to bring together international market leaders from the buy side, sell side, platforms and technology providers all in one place at one time - A must-attend if you are looking to grow your business and overcome key macro challenges over the next 12 months. Staging it outside of London was a masterstroke, it simply meant all participants attended and were engaged.